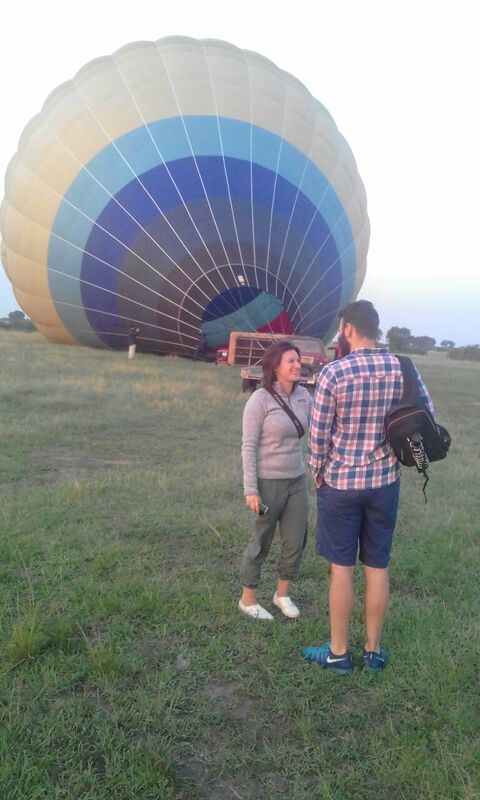 Visitors on Adventure vacations in Uganda today can finally experience the true wilderness of Uganda in a new and fascinating way as they catch up with the early sunrise while flying over the amazing savannah plains of Kasenyi in Queen Elizabeth national park in a hot air balloon. Travelers on their safaris in Uganda get to enjoy the bird’s eye of the hunting lions of Kasenyi plains, herds of buffalos, Uganda kobs and elephants. Have a serene tranquility of an African safari and enjoy opportunities to have memorable photos before landing and driving for a bush breakfast. These hot air balloons are operated by a great team of professional pilots who have had the balloon flying experience in countries like turkey, Egypt and now finally in Uganda. We are talking about the oldest and successfully proven human carrying flight the hot air balloon. 1783 November is the time when it was first established by the Montgolfier Brothers and being the first man made flight on earth. The hot air balloon consists of a bag called an envelope which contains heated air that enables it to fly high in the sky. It has also got a wicker basket or gondola which carries passengers and also a source of heat from an open flame. This exceptional Uganda safari activity has been proven the most preferred in parks like masai-Mara and Serengeti national park and now is one of the newly introduced and the first of its kind in Queen Elizabeth national park at 380$ for an hour daily with a conducive weather. The starting point for this hot air balloon is just about 12km from Mweya peninsula. The maximum capacity of the hot air balloon is currently with prospects of increasing it to 24 people very soon. Book with Prime Uganda safaris today and be one of the very few visitors to get this safari experience.